Roland Thomas, NMD is President and founder of BioAge, and editor of its wellness letter. 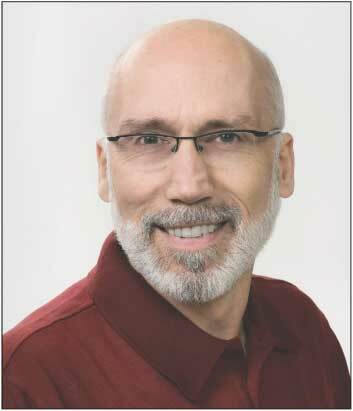 Mr. Thomas has been a holistic health enthusiast since his first exposure to yoga and vegetarianism 38 years ago. He has since continued pursuing holistic health, studying and practicing eastern nutritional medicine, and self-healing practices like Hatha and Kundalini yoga. Later, while studying advanced nutrition, energy medicine, Qi Gong, Tai Chi and Chi Running, Roland began teaching concepts of super-nutrition. He is the author of books on the science of bio-nutrition: The Magic is Back and Awakening the Genius Within. Frequent speaker and radio guest, Roland lectures and educates clients on holistic health and the science of super-nutrition throughout Canada and the USA. Roland is a science graduate from the University of Montreal and a member of the American Naturopathic Medical Association. He has obtained a Doctorate in Natural Health from the Trinity College of Natural Health and a Doctorate in Natural Medicine from IQUIM (Integrated Quantum University of Integrated Medicine). The extraordinary nutrients in Bio-Algae Concentrates efficiently nourish your cells. These well-nourished cells transform your health and your improved health will transform your life. Hello, my name is Roland Thomas and I am the author of “The Magic is BAC”. In this free online eBook, I present you with the latest information about Bio-Algae Concentrates (BAC), the culmination in cellular nutrition. This knowledge will change your beliefs about algae, food, and wellness. This online eBook builds on the previous book Awakening the Genius Within that I wrote about the research and development of Bio-Algae Concentrates available in print at this link: Awakening the Genius Within. I highly recommend that you take the time to also read this previous book. It relates the fifteen years of advanced research on Bio-Algae Concentrates as led by Dr. Michael Kiriac and sponsored by the Academy of Sciences of the former Soviet Union. It depicts the life and times of Dr. Kiriac in Russia and in the decades since. A summary of the book is also available as a 21-minute DVD movie. You will see clips of the research center, the bioreactors, Dr. Kiriac, the “Man of the Year”, and much more.